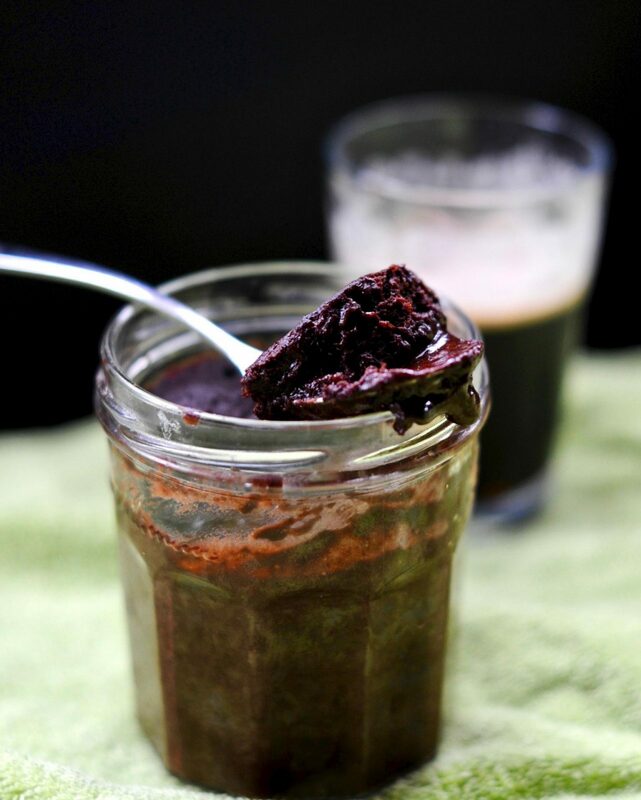 May I present you with a 5-minute Dark Chocolate Guinness Mug Cake that is vegan, and oil free. 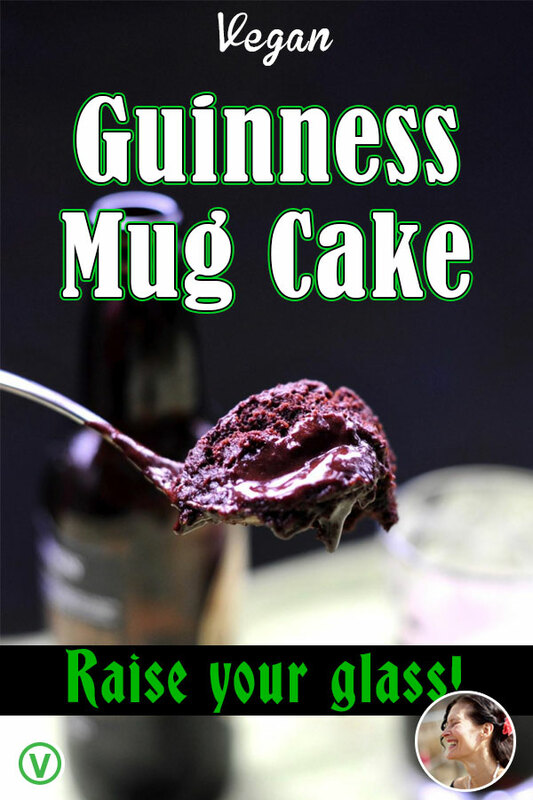 Make this moist, deep, dark, and delicious single serving mug cake for St. Patrick’s Day. Making a whole cake can be exhausting. Some days you want a single serving cake that literally comes together in five minute or less. Moist, fluffy textured, dark chocolatey spoonable goodness with a bitter malty background flavor and a hidden pool of melted chocolate in the center. What more can you ask for in this five minute wonder? 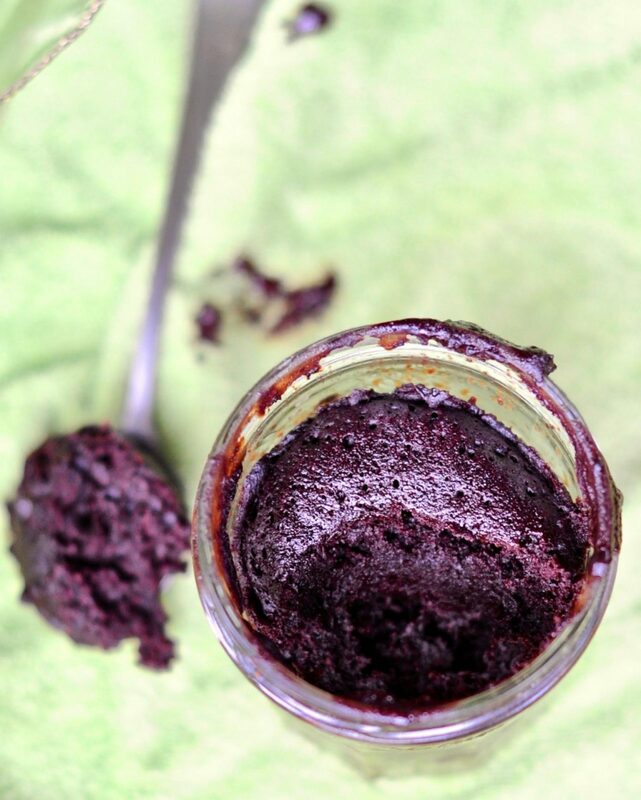 Mug cakes do not have the same texture as oven baked cakes it is true, but they satisfy cake cravings without leaving the kitchen in shambles like a “ regular” cake. 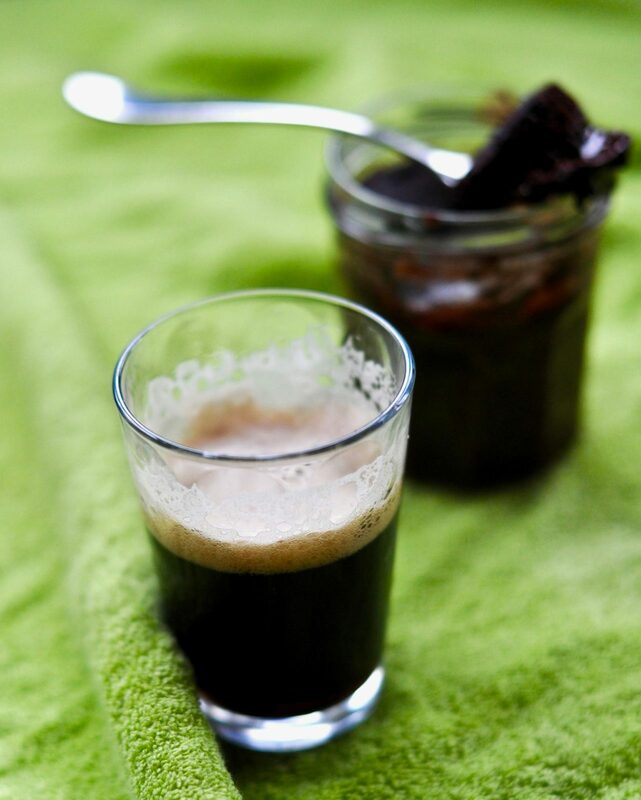 If you are unable to resist leftover cake then this single serving dark chocolate Guinness mug cake is for you! Although I have been known to make a second cake immediately after the first. My first mug cake was made for me in a little hotel room in London five years ago by my daughter Livy. It was my first Father’s day without my dad and my daughter’s third year anniversary with her first love who she had broken up with a few months prior. We bought a bottle of wine and she baked chocolate mug cakes in the microwave. I had never heard of such alchemy. In a day of firsts I must say that mug cakes was the sweetest. There are days when just getting dressed and brushing you teeth are an accomplishment. Days when walking to the store is an act of defiance of gravity. That London afternoon the sky settled heavily on the skyline and drops of tepid rain inked the city. There we sat in our little room drinking awful red wine, eating chocolate cake and reading Neverwhere on our kindles. 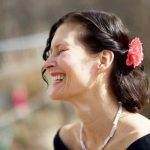 On a dark day in June we created a pool of light that fought back at the dark times swirling around our feet. A note on Guinness. Some of Guinness’s products are now vegan, ask at your local liquor store for vegan selections. In three weeks St. Patricks day arrives. 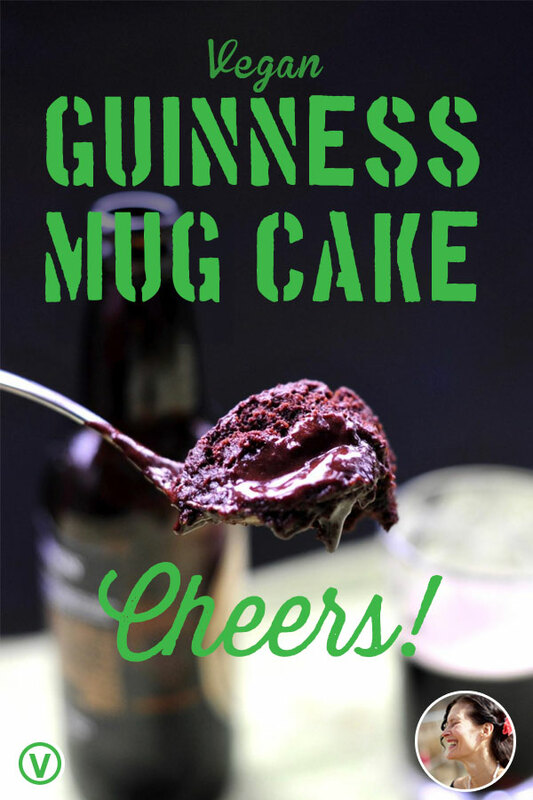 Instead of raising a glass, raise a mug of Guinness cake. 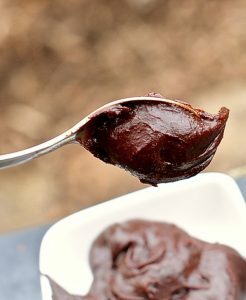 Moist, fluffy textured, dark chocolatey spoonable goodness with a bitter malty background flavor and a hidden pool of melted chocolate in the center. What more can you ask for in this five minute wonder? 1 ounce dark chocolate, I used 1 square from a bar of 85% but use what ever you have on hand even chocolate chips. Whisk the Aquafaba until frothy in a small bowl about one minute. Add the vanilla, Guinness, salt and brown sugar and stir until combined. 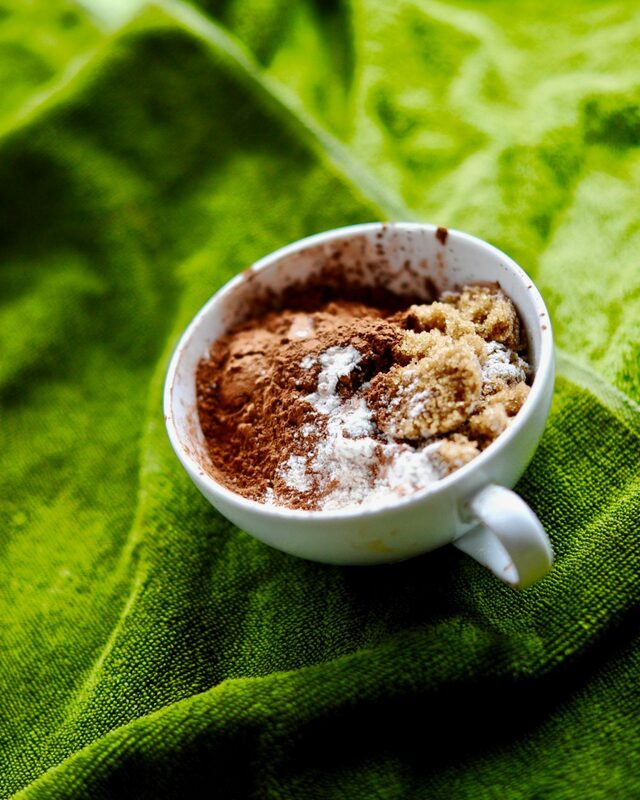 Stir the flour, cocoa powder and baking powder together in a small cup and add to the liquids. Stir until combined. Spoon half the mixture into a mug and lay a square of chocolate in the center of the batter. Scoop the rest of the batter on top and smooth the top. 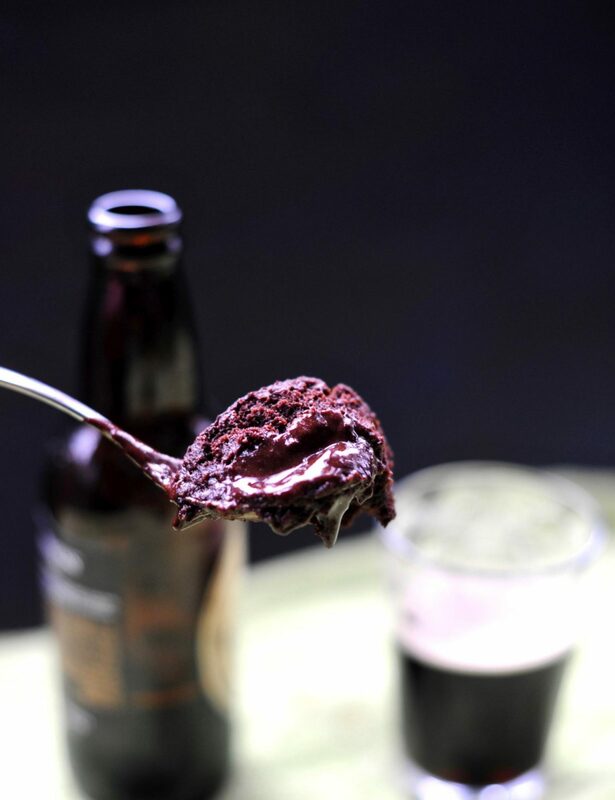 If you want your cake extra Guinness-y then sprinkle 1/4 tsp of beer over the top before placing in the microwave. Every microwave has different power. I baked mine in the centre the microwave for 2 1/2 minutes at half power and it was perfect. After 2 minutes check to see if the cake is cooked by gently pressing in the top with you finger. If it feels springy-solid it is done. 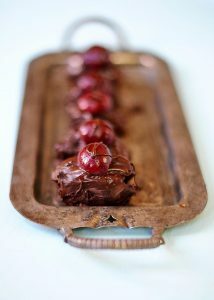 The top will remain moist even after the center cooks and you will be left with a lovely brownie like glaze on the top. I never heard of mug cakes before! 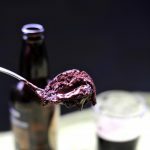 Since I adore dark beer, and chocolate cake, this looks tailormade for me. Can it be made in a conventional oven? We don’t have a microwave. 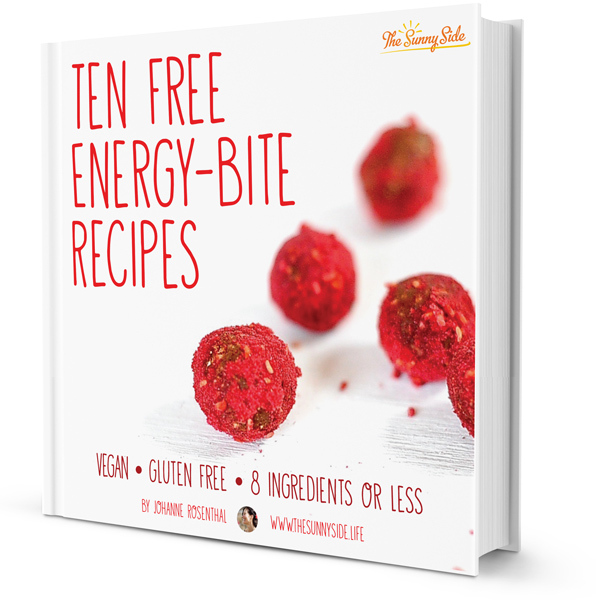 I wish I knew if it works in a conventional oven. I need to research that.